Let us first understand what an accountancy firm is. They are firms of accountants that cater to businesses (retailers, manufacturers, companies, etc. ), individuals, non-profits organisations and government organisations. The services provided by accounting firms will vary by the size and the expertise of the firm. Some of the accounting services are – financial statements, preparation of income tax returns and tax planning, consulting and advising involving accounting systems, mergers and acquisitions, etc. The people employed in accounting firms are mostly certified public accountants or CPAs. Given that one can’t handle everything at the same time, we provide services such as accounting, tax planning, and consulting services in Harrow, Watford, Reading, Euston (London) with great expertise in helping owners manage businesses, freelancers, and contractors. We have a large clientele over 1200, having provided them the best of services since 2005. 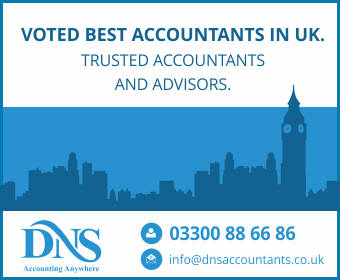 Offering Accountants in Guildford, specializing in Limited Company accounting, tax advice, tax investigation, tax planning and accounting services, we have grown to become a respectable and locally recognized firm. All the partners and senior staff members of our team are either qualified professionals or members of professional accounting bodies such as CIMA, ACCA or hold university degrees from well-accredited universities. Guildford sits on the western edge of the county of Surrey, within a close distance of London. It has the highest resident population for any district within Surrey. Major urban areas are located in the town centers of Guildford, and on the western side of Ash and Ash Vale. Guildford is well connected by road, railways and air, and is at a distance of 30 miles from London. The urban area is 20 minutes from the M25, hence accessible to all parts of the United Kingdom. It is situated on the A3, a major trunk road that joins it with Portsmouth and the coast and makes it directly accessible to central London. The direct rail service to London (i.e. Waterloo) takes about than 40 minutes. Other cities easily accessible by rail are Reading, Portsmouth, and Southampton. The UK’s largest international airports, Heathrow, and Gatwick, are only 40 minutes by road from Guildford and Gatwick is only about 40 minutes by railways from its mainline station. The closeness of the airports makes it accessible to global markets. A third of Guildford lives in the rural areas, and they account for 25 percent of all employment in the Guildford. There is a wide variety of jobs available there - Farming, food and tourism, etc. There are shops, workshops, distribution, ICT, Childcare and education, residential homes, manufacturing, property, corporate headquarters, and offices. Internet business and working from home has increased considerably. Guildford’s successful has made it the destination where businesses want to setup and grow. An accountant is an important part of any business that he or she works in, whether it is a large corporation or a small business. He or she monitors and records the flow of money through that business or organization. The accountant verifies all money transactions and makes sure that all these transactions are legal and follow the set guidelines. The accountant may work for business or organisation on a contractual basis to do the books or tax returns. They may also work for private individuals. Our accountants are the best ones in their jobs, helping our clients achieve the maximum. Name the Company of your dreams. Familiarize at least one director. Name at least one shareholder. Pass on the details of the formation of “Statement of Capital” that holds the details of all the shares and the rights the company has. The rules that are to be followed for the company to run successfully that is the “Articles of Association” need to be stated. On the successful completion of the above-mentioned steps, the company is bestowed upon with a “Certificate of Incorporation.” From this certificate, one can easily decipher that the legal formation of the company has been done successfully. We also provide our services in Woking, Egham, Sunbury, Godalming and Fleet. With our experience in the field, we want to help out as many clients as we can, helping to take the burden off their shoulders, so that they can manage their businesses efficiently. We guarantee to never disappoint our clients and do our work diligently. Our only goal is to see our clients succeed. Hence, we provide skilful and highly experienced services, which has helped us accrue a lot of respect over the years.